Since its purchase it has been completely retrellised and renovated. It has been renamed the Whalebone Vineyard because of the discovery of a 35 million year old whale skeleton in a limestone cave beneath the vineyard. The Whalebone Vineyard is a terroir particularly suited to the varieties Cabernet Sauvignon, Merlot, Cabernet Franc and Shiraz. Not even the pioneers who planted the vineyard could have realised how special the site is. Situated at 37° 10’ S and 140° 87’ E at an altitude of 80 meters, the Whalebone Vineyard is on the dunal ridge of the oldest shoreline of the plain which gently leans away to the Great Southern Ocean 80 kilometres to the west. The West Naracoorte Range was formed along the north south Kanawinka Fault when the land began to rise about 0.8 million years ago, causing the Southern Ocean to recede away to its current shoreline. The ridge is seated on 35 million year old Oligocene limestone (very similar to St Emilion in Bordeaux) and it is in this limestone that the bones of a whale were trapped and are now exposed in a cave eroded into the limestone beneath the Whalebone Vineyard. *Figures correct for Coonawarra (taken from “Viticulture and Environment” by John Gladstones (1992), published by Winetitles, Adelaide). Serendipity prevails at the Whalebone Vineyard. It is by chance that here, millions of years of deposited marine animals have slowly risen from the seabed over the last million years. The skeleton of the once beach stranded whale trapped in the subsequent deposits of the much smaller marine creatures revealed again in the cave eroded in the land locked limestone represents double jeopardy. Over the past million years, that same erosion process has released the iron rich clay and dust particles from the seabed limestone where it had been deposited by wind and water over the previous 25 million years. The magic wand of erosion eternally waved over ancient marine deposits and the result is Terra Rossa soil intimately connected to its parent limestone and forming one of the great vine growing water and nutrient supply systems of the world. That wonderful soil could be buried under ice in the Antarctic or in the middle of Simpson’s Stony Desert, but it isn’t. It has been formed at a location that has a climate that provides the perfect mix of requirements to elicit the best qualities from the varieties Cabernet Sauvignon and Shiraz. Then there is the chance element introduced by man, the most capricious creature in all of nature. Choosing that site when everyone else was planting in the much more fashionable address of Coonawarra, and planting Cabernet Sauvignon, Shiraz and Cabernet Franc, a combination exactly suited to the site is either an act of chance or of genius. I won’t mention the Riesling and Pinot Meuniere, long since pulled out because they could not reflect the greatness of the site, its terroir. Finally the choice to plant on wide spacing was a conventional one in 1974 but the decision to not crack up the limestone cap was probably to save costs. If the limestone cap had been effectively ripped, today the capacity of the vines would be too great for the vine spacing and the vineyard would suffer from shoot crowding and too much vine vigour instead of the perfect balance it has today. A glimpse of this serendipity was evident in 1980 when I had the opportunity to help with the making of the Ashbourne Cabernet Sauvignon for Geoff Weaver, the very first wine bottled from the Whalebone Vineyard. It is a very good wine to this day. Tapanappa is the beneficiaries of this sequence of chance events. We are committed to assiduously refine the vineyard and winemaking processes to coax the very best from the wonderful Whalebone Vineyard site and its terroir. The site may be special but the important question is what is so special about the wine? Tapanappa Whalebone Vineyard Cabernet Shiraz shows a consistency of style and quality that transcends vintage variation. The wine is recognisably Whalebone Cabernet Shiraz from hotter, colder, wetter and dryer vintages. There is winemaking that respects the “naturalness” of wine and there is winemaking that alters wine composition changing the flavours, aromas and tannin structure, to turn the wine into the style in the mind of the winemaker. 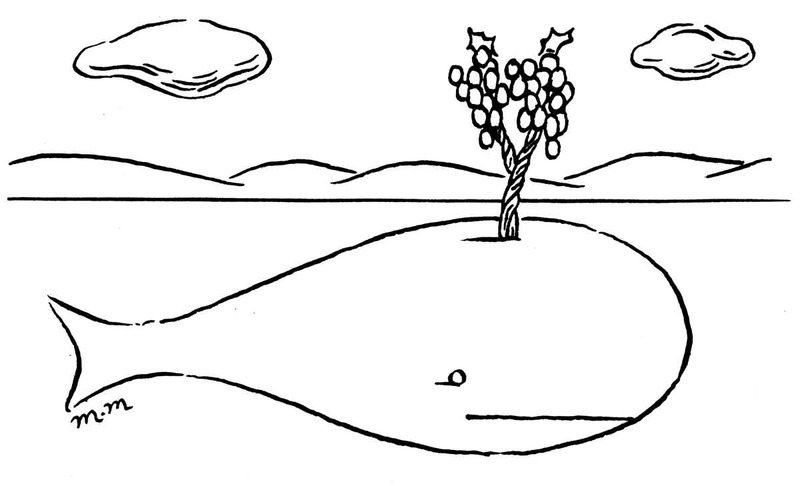 Given competent winemaking, respectful of terroir, the Whalebone Vineyard personality has survived the efforts of at least three winemakers. This ability to stamp its character, style and personality on its wines is the hallmark of a terroir of pedigree. 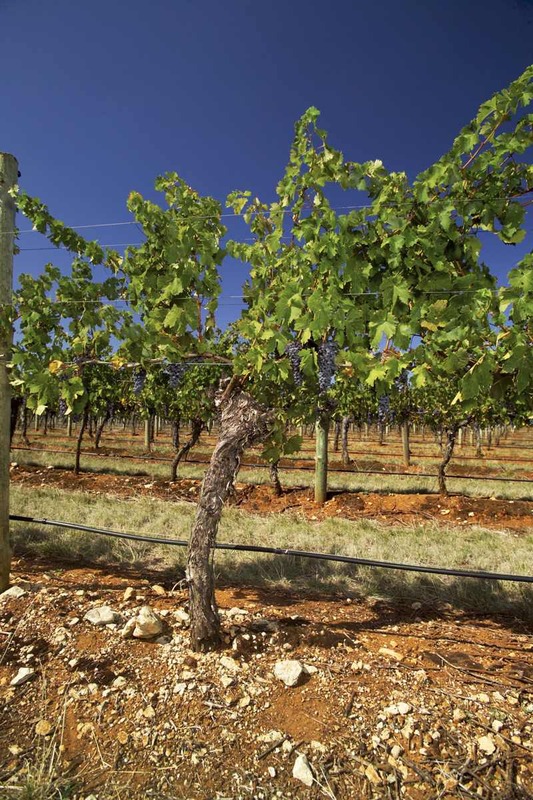 First and foremost Tapanappa Cabernet Shiraz is the taste of the Whalebone Vineyard. The terroir delivers complexity involving the aroma and flavour of dusty earth and Eucalypt smoke. The aroma is complex and powerful, dominated by ripe blackberry and plum fruit. Liquorice, cellar earth, clove and leather are layered on the foundation of fruit aroma. A finely textured palate with a sweet fruit core and dry grainy tannin finish are hallmarks of a wine of pedigree. Tapanappa Whalebone Vineyard Cabernet Shiraz is grown and made to benefit from bottle age. The soil of the Whalebone Vineyard is the famed Terra Rossa, similar to the soil of Coonawarra but because of its different geological parent, exhibiting some unique characteristics. Whereas the limestone under Coonawarra is less than 1 million years old (Quaternary era), the limestone under Whalebone Vineyard is from the Oligocene era (35 million years old). The Oligocene limestone has weathered at the surface to form a fractured limestone cap and the deep, bright red Terra Rossa soil of the Whalebone Vineyard. The vine roots exploit the marly, clay rich lower layers deep within the ancient shoreline. The Terra Rossa soil and the underlying limestone are a controlled water-supply system that progressively dries out through the ripening season, but maintains the vines in healthy growth stasis without added irrigation. Any excess summer rainfall is quickly drained away into the limestone structure beneath the Terra Rossa soil. This wonderful viticultural soil and its parent limestone supply a balanced but modest nutrition, allowing the vine to achieve a natural balance without excess vigour. The climate of the Whalebone Vineyard is a bit of an enigma. The nearest official weather station is at Struan, 7 kilometres due west of Whalebone Vineyard on the Coonawarra plain at an altitude of 65 metres. It is separated from Whalebone Vineyard by the ridge of the West Naracoorte Range, peaking at that point at 105 metres. Being north of Coonawarra, Struan is warmer at 1472°C days heat summation versus Coonawarra at 1376°C days. (Heat summation is the number of degrees of heat above 10ºC received by the vineyard over the growing season from October to April inclusive). It has always been assumed that the Wrattonbully region is warmer than Coonawarra and indeed the Wrattonbully Wine Region web site quotes 1503°C days based on the average of Kybybolite to the north and east and Struan to the south and west. The sequence of major events for vines during their growing season is called the phenology of the vine (bud burst, flowering, veraison, harvest), and Whalebone Vineyard is about one week in advance of Coonawarra in its phenological timetable. This may be because Whalebone Vineyard is protected from the winds by the ridge of the West Naracoorte Range whereas Coonawarra is exposed to the full blast of the winds from all quarters to the south and west. Wind stress delays ripening. We have installed an automatic weather station at Whalebone Vineyard and a comparison of the heat summation to that of Coonawarra in the vintages since indicates that Whalebone Vineyard was at least as cool as Coonawarra. The heat summations of Bordeaux on the Atlantic Ocean in the south west of France, the home of Cabernet Sauvignon, Merlot and Cabernet Franc, and Hermitage on the Northern Rhone in France, the home of Shiraz, are nearly identical and warmer than either Coonawarra or Whalebone Vineyard through the growing season. Being close to the ocean, Bordeaux has warm nights and moderate days which measured as the average difference between the night-time minimum and the daytime maximum temperatures over the growing season is 8.4°C (diurnal range), whereas Hermitage has cold nights and hot days and has a diurnal range of 12.8°C. Typically the Bordeaux climate is described as “maritime” and suits Cabernet Sauvignon, Merlot and Cabernet Franc. Hermitage is described as “continental” and is suited to Shiraz. Unusually, even though they are close to the coast of the Great Southern Ocean, both Coonawarra and Whalebone Vineyard have large diurnal ranges, Coonawarra 14.1°C and Whalebone Vineyard (Struan) 14.8°C. Being continental and similar to Hermitage, ostensibly Coonawarra and Whalebone Vineyard should be better suited to Shiraz than Cabernet Sauvignon. Because of their relatively low heat summations compared to Bordeaux and Hermitage it might be concluded that Coonawarra and Whalebone Vineyard are marginal terroirs for the full ripening of Cabernet Sauvignon and Shiraz and especially Cabernet which has a greater heat requirement than Shiraz. Both Coonawarra and Whalebone Vineyard are capable of ripening both varieties to full and opulent maturity because April is warm and dry and usually allows fruit to remain on the vine to achieve optimum ripeness, whereas October in Bordeaux and Hermitage is much cooler and wetter and the harvest window is much shorter. Finally Struan and Whalebone Vineyard have much lower wind speeds during the growing season than Coonawarra and this above all factors allows Whalebone Vineyard to ripen both Cabernet Sauvignon and Shiraz earlier and to a slightly more opulent style and this applies especially to Shiraz. Whalebone Vineyard in particular and Wrattonbully in general are peculiarly suited to the production of Cabernet Shiraz blends, an Australian traditional blend and once common in France when the practice of “Hermitaging” was used to bolster the wines of Bordeaux in deficient years. The more than 30 year old vines on Whalebone Vineyard are planted at spacings of 3 metres between rows and 2 metres between plants in the row, traditional Australian wide spacing, giving 1666 vines/hectare compared to Bordeaux’s 5,000 to 10,000 vines/hectare. When the Whalebone Vineyard was prepared for planting in 1974, the soil was not ripped to crack through the limestone cap as is the modern practice and hence the vine roots have to find their way down through natural fissures and cracks. This limits the capacity of the vineyard as the vines are forced to struggle for nutrient and water. The vines have achieved a natural and sustainable balance without the need for irrigation. The soil of the Whalebone Vineyard is organically manured and a natural grass sward grows in the rows. The special Terra Rossa soil has a thriving community of beneficial soil organisms. Because of the limitation of vine root access to nutrient and water, a low number of buds is left at pruning, 33,000 buds/hectare compared to 70,000 buds/hectare in high capacity vineyards such as those in Bordeaux. The 33,000 buds of each hectare of the Whalebone Vineyard are deployed at 20 buds/vine, giving a meagre 10 shoots/metre of trellis. The vines are cane pruned and the shoots are arranged in a vertical canopy that allows every individual shoot and bunch of grapes to achieve full light and ventilation. Each shoot is hand thinned back to one bunch of fruit and the result is a tiny crop level of 4 tonnes/hectare compared to 6.5 tonnes/hectare allowed in the Medoc, Bordeaux and average crops in Coonawarra and Wrattonbully of 10 tonnes/hectare. Whalebone Vineyard is typically hand harvested in the first half of April. The Merlot is the earliest variety and is harvested separately at the end of March. The Shiraz is next, usually in the first week of April and the Cabernet Sauvignon comes a week later. Finally the tiny quantity of Cabernet Franc is harvested a few days after the Cabernet Sauvignon. This fruit requires no amelioration and achieves the winemaking objective of “naturalness” so important to the optimal expression of the terroir. The hand-harvested grapes of the Whalebone Vineyard are carried in 0.5 tonne bins to the Tapanappa Winery in the Piccadilly Valley. The bunches are destemmed and only a portion of the liberated berries are crushed between slightly separated rollers. The berries and juice are transferred to 1 tonne tubs at 5ºC where they macerate anaerobically for 3 days before the fermentation is initiated. A small quantity of my own vineyard-selected yeast is added to each tub and the fermentation begins. The rising cap of skins is hand plunged and mixed with the fermenting juice twice per day. The cap of skins achieves temperatures of 30ºC between plungings over the first week of the fermentation. In the second week of fermentation the temperature decreases but the plunging continue until all of the sugar is exhausted. At dryness the tub is sealed anaerobically and in the third week the cap sinks beneath the wine surface. After 24 days in the tub, the clear wine is drained away from the skins and the wet skins are gently pressed in a small air bag press. Light pressings are added back to the drained wine to the extent dictated by taste. The turbid freshly separated wine is immediately drained to 70% new and 30% one use French oak barriques from the Alliers and Nevers forests of the “Centre of France”. A tiny quantity of my own selected malolactic bacteria is added to each barrique and the separate varietal components of Tapanappa Whalebone Vineyard are allowed to complete the malo-lactic fermentation on full lees in barrique. At completion of malo-lactic the wines are removed from barrique, a small amount of sulphur dioxide is added and the wine, complete with lees, is returned to barrique. The wines are clear racked from barrique each 6 months and returned so that after 18 months the wine is clear. After 20 months in new barriques the final blend is assembled from the varietal ingredients and is fined with the equivalent of 3 fresh egg whites per barrique. The brilliantly clear Tapanappa Whalebone Vineyard blends are racked to bottle without filtration.